NEW YORK (Reuters) - Oil prices fell more than $2 per barrel on Friday as Saudi Arabia and Russia discussed easing production cuts that have helped push crude prices to their highest since 2014. 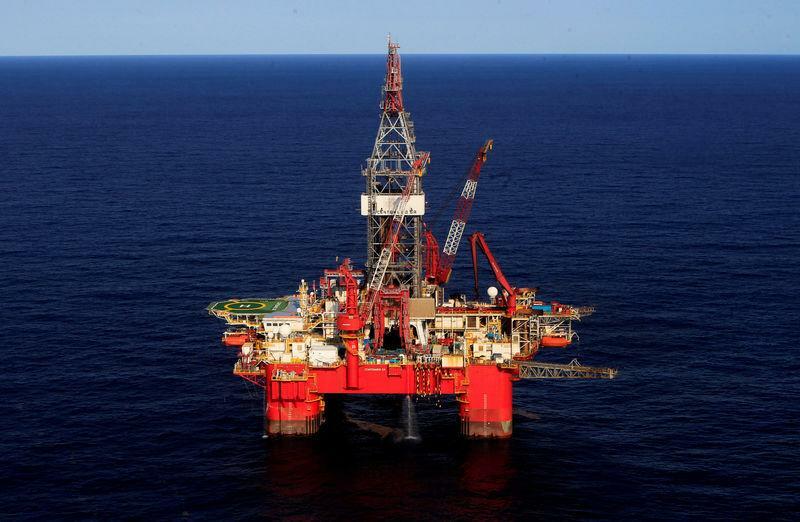 Brent crude futures (LCOc1) fell $2.35, or 3 percent, to settle at $76.44 a barrel. The global benchmark lost about 2.7 percent this week, its largest weekly drop since early April. The contract hit its highest since late 2014 at $80.50 last week. U.S. West Texas Intermediate (WTI) crude (CLc1) slumped $2.83, or 4 percent, to finish at $67.88 a barrel. For the week, WTI tumbled about 4.9 percent, its biggest loss since early February, a sharp course reversal after six weeks of gains. The premium of Brent to WTI (WTCLc1-LCOc1) hit $8.75 per barrel in post-settlement trade, its widest since March 2015. The energy ministers of Russia and Saudi Arabia met in St. Petersburg to review the terms of a global oil supply pact that has been in place for 17 months, ahead of a key OPEC meeting in Vienna next month. Russia's energy minister said oil ministers from OPEC states and non-OPEC countries participating in a deal to cut output would likely decide to gradually ease curbs at their meeting in Vienna next month. "After hitting that $80 level, which is a psychological level, we were seeing a little bit of a pull-back yesterday, and then rhetoric out of Saudi and Russia has only exacerbated the sell-off today," said Matt Smith, director of commodity research at ClipperData. Global crude inventories have fallen over the past year because of the OPEC-led cuts, which were boosted by a dramatic drop in Venezuelan production. The prospect of renewed sanctions on Iran after Trump pulled out of an international nuclear deal with Tehran has further supported prices in recent weeks. This comes even as U.S. crude production has risen. The United States in February produced 10.3 million bpd, a record. 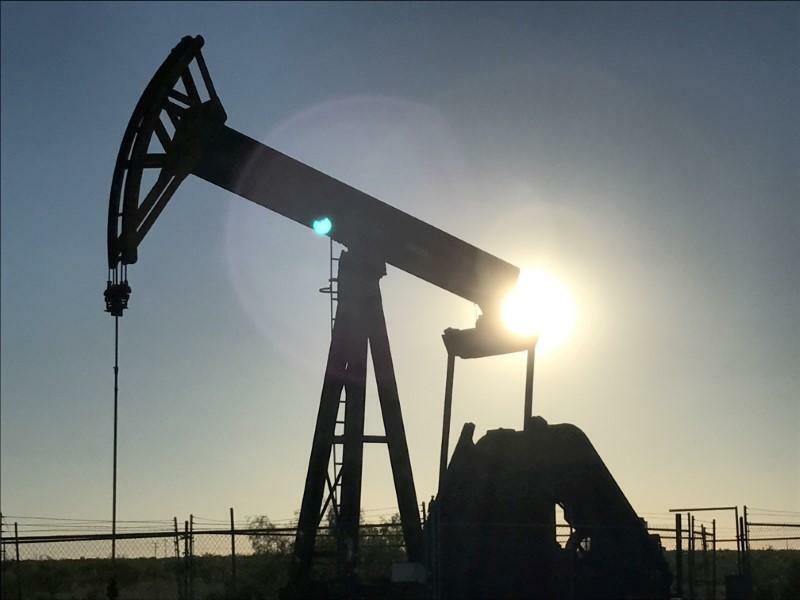 The U.S. oil rig count, an indicator of future production, rose by 15 to 859 in the week to May 25, the highest level since March 2015, General Electric Co's (GE.N) Baker Hughes energy services firm said. Hedge funds and other money managers raised their bullish bets on U.S. crude futures and options in the latest week after four consecutive cuts in the net long position, according to data released on Friday. The increase lifted the wagers from 6-month lows, in the week to May 22, according to data from the U.S. Commodity Futures Trading Commission (CFTC). The speculator group raised its combined futures and options position in New York and London by 2,009 contracts to 421,916 during the period.